Dr. Chia Chi Kao is a board-certified aesthetic plastic and reconstructive surgeon with over 15 years of experience whom Vogue claims “is single-handedly revolutionizing the future of facelifts.” He is also the founder of the KAO Center in Santa Monica, CA and is the creator of the new and revolutionary Ponytail Lift™ and Ponytail Facelift™ procedures. Dr. Kao was born in Taipei, Taiwan and moved to Seattle, Washington when he was eleven years old. He knew he wanted to be a doctor at the age of six and started volunteering at Harborview Trauma Center in Seattle while he was in college. During that time, he saw his first operation and decided he wanted to be a surgeon. In medical school, his mentor was a plastic surgeon, and he saw the beauty his mentor was able to create with his hands. This inspired Dr. Kao to become a plastic surgeon as well. 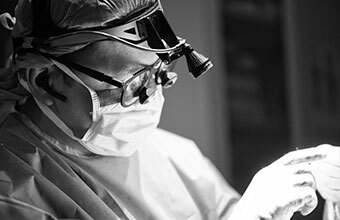 After graduating from medical school at the University of Washington in Seattle, Dr. Kao completed a five-year General Surgery program at the University of Washington and received his board certification by the American Board of Surgery in 1997. He quickly developed an interest in surgical endoscopy (minimally invasive surgery through the use of a small camera scope). Dr. Kao became a clinical professor at the University’s Center for Video Endoscopic Surgery and taught residents and fellow surgeons this technique. He then completed a three-year plastic surgery program at the University of Southern California. Dr. Kao continues to expand his interest in Endoscopic Surgery to facial plastic surgery. He has taught other surgeons these specialized techniques at the Endoscopic Plastic Surgery Educational Seminar in Los Angeles, California. Dr. Kao has authored numerous publications that have appeared in professional journals. He has also lectured at national and regional meetings with presentations to such groups as The California Society of Plastic Surgeons. He appeared on the Discovery Learning Channel featuring his endoscopic facial work. Dr. Kao is a Staff Plastic Surgeon at Saint John’s Health Center in Santa Monica. He is a member of California Society of Plastic Surgeons and is certified by the American Board of Surgery and the American Board of Plastic Surgery.